Home > Recovery Coffee Cups > Sober Date Coffee Cup! Sober with Date Coffee Cup! 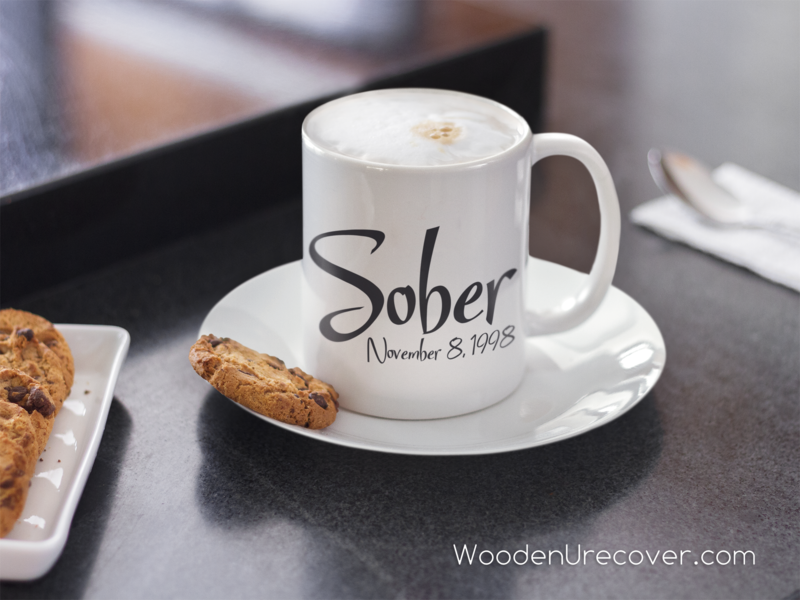 Sobriety Date Coffee Cup - Personalized 12 Step Coffee Cups! 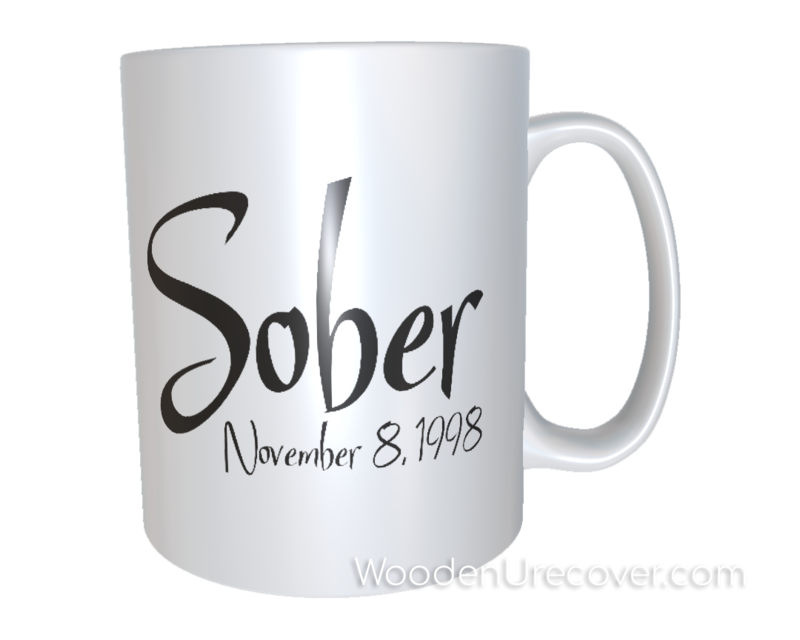 Features the word "Sober" along with your sobriety date! 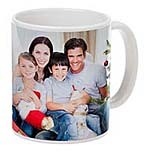 We can even personalize the reverse side of the mug, too! A great gift for anyone in the program!